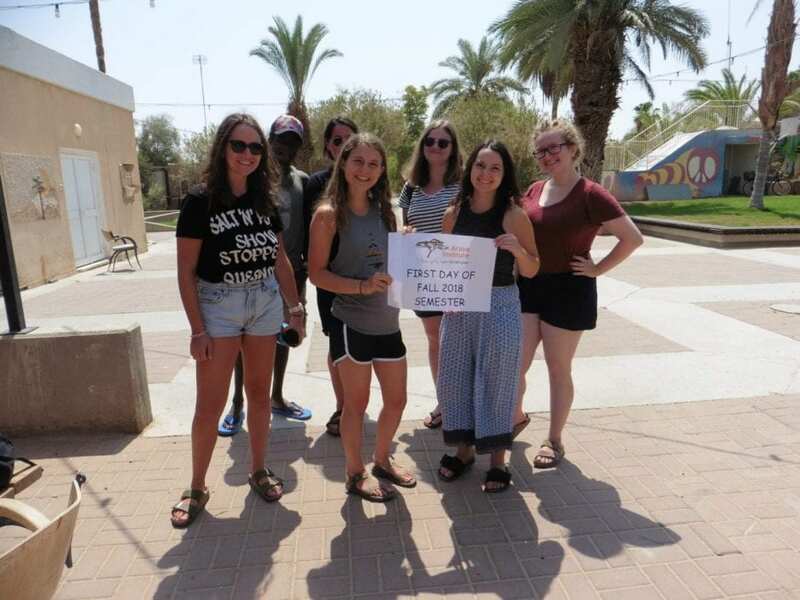 Last week we welcomed a new group of 60 students and interns to the Arava Institute. This semester’s participants come from Israel, Palestine, Jordan, the United States, Canada, Kenya, Germany, France and England, forming our largest semester so far. The participants spent the first few days getting to know each other, their staff and faculty, and their new surroundings, including a spectacular nighttime hike at Timna Park, a tour of the Off-Grid Technology Demonstration Village, and a community storytelling workshop. They now have an opportunity to attend all classes until the end of September before finalizing their course choice for the semester. This fall sees the return of two courses that have not been taught the Institute for a number of years: Environmental Mediation and Conflict Resolution, taught by Dr. Yael Teff-Seker, and The Bible as Key to Environmental Thought, taught by Rabbi Michael Cohen. We are looking forward to discovering this new group’s unique character, and wish the students, academic staff, and faculty a successful and meaningful semester!